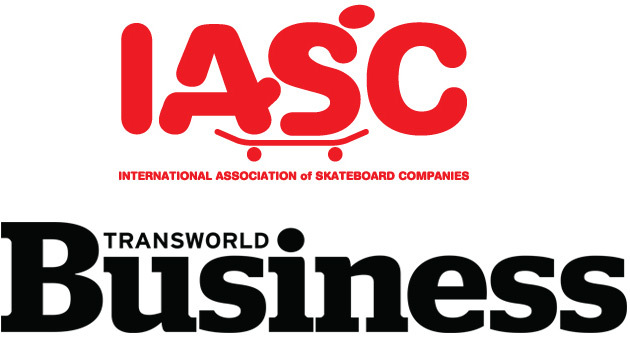 TransWorld Business and IASC have teamed up again to take a comprehensive look at the state of skateboarding. We're reaching out to specialty skate retailers from across the globe to get a sense of how healthy the industry is and where it's heading. The survey only takes a few minutes and will provide a ton of great information to better manage our businesses. Please keep in mind that your privacy is very important to us, and we will keep your identity confidential when analyzing and reporting data. Those who participate will receive a personal copy of the study's results. The results will also be presented at the upcoming IASC Skatebarding Summit, May 14-16, at the Westin South Coast Plaza hotel in Costa Mesa, California. Thanks for your time. Click here for more information on the 2014 IASC Skateboarding Summit. 2. What is your shop's name? 4. How long has your shop been in business? 5. Where is your shop located? 6. How many doors do you operate? If you selected multiple, what percent of your total sales does each channel account for? 9. How did 2013 OVERALL sales compare to 2012? 10. How did 2013 IN-STORE sales compare to 2012? 11. How did 2013 ONLINE sales compare to 2012? 12. How did 2013 MARGINS compare with 2012? 13. What other sports do you sell gear for? None - we're a skate shop. 15. Which categories saw the greatest sales increases in 2013 from 2012? Please list the top three in order of largest increase and percentage. 16. Which categories saw the greatest decreases in sales in 2013 compared to 2012? Please list the top three in order of largest decrease and % of decrease. 17. Which categories do you plan to go deeper in with your buys this year? Please list the top three and why they're checking. 18. Do you carry blanks? 19. Do you carry shop decks? 20. Do you carry longboards/cruisers? 21. If so, how did 2013 sales of longboards/cruisers compare to 2012? 22. What percent of your overall sales are cruisers/longboards? 23. What was your best selling brand overall in 2013? 24. What was your best selling brand for decks in 2013? 25. What was your best selling brand for trucks in 2013? 26. What was your best selling brand for wheels in 2013? 27. What was your best selling brand for accessories in 2013? 28. What was your best selling brand for men's apparel in 2013? 29. What was your best selling brand for women's apparel in 2013? 30. What was your best selling brand for footwear in 2013? 31. How did sales of skate shoes in 2013 compare to 2012? 32. How did sales of other footwear types in 2013 compare to 2012? What types of footwear performed the best? How about the worst? 33. What NEW brand in any category are you most stoked on and why? 34. Were your inventory levels at the end of 2013 up, down or even compared to 2012? 35. Are you predicting sales growth in 2014? 36. Were 2013 profits up, down or even compared to 2012?